Koch Brothers to Spend Millions Fighting Against Trump’s Trade War AgendaIn an unusual step, one of the GOP’s major allies is putting actual money into an attack on Trump’s trade policies. Donald Trump’s Presidency Is the Libertarian MomentAtlas Thugged. The Kochs Can’t Make America Stop Hating Trump’s Tax CutRepublicans think their poor trillion-dollar corporate tax cut is just misunderstood. 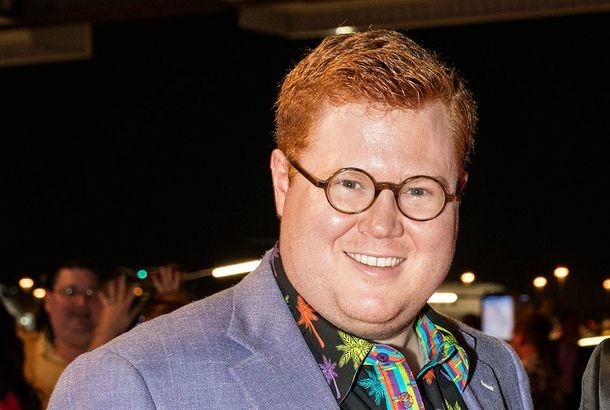 We Can’t Get Enough of This Koch Heir’s Terrible Shirt LineJoin us on this journey. Meredith, Backed by Koch Brothers, Acquires Time Inc. for $2.8 BillionOne of America’s most storied magazine publishers is getting consolidated. Koch Brothers Back Meredith Corporation in Talks to Buy Time Inc.They’re reportedly putting up $500 million in equity to support Meredith’s effort to purchase the publisher of People and Sports Illustrated. No One Wants the Latest Trumpcare Bill — Except Right-Wing BillionairesAnd for at least 48 Republican senators, that seems to be enough. The Grudge Match to Succeed Harry Reid — and Control the SenateThe Senate Democratic leader is retiring, and his bitter enemies the Koch Brothers are trying hard to deny him a chosen successor. Charles Koch Calls Theory He’ll Support Hillary Clinton ‘Blood Libel’Koch is taking a hands-off approach to this election. Charles Koch Wants to Be the Next Bernie SandersThe libertarian billionaire will release a series of TV ads calling on Americans to band together to fix a “rigged economy” that leaves the poor behind. For the Koch Brothers, Buying Elections Ain’t What It Used to BeIt’s not just the less-than-libertarian Republican nominee — the billionaire brothers are starting to worry that their high-profile political spending is hurting the corporate brand. Trump’s Top Congressional Ally Dead-Set Against Criminal-Justice ReformEverybody’s favorite bipartisan policy cause, criminal-justice reform, faces an implacable foe in Trump’s buddy Senator Jeff Sessions. Sheldon Adelson Backs Trump, While Clinton Goes Fishing for Bush DonorsThe casino magnate looks to be the Donald’s first confirmed GOP megadonor. But Team Clinton is hoping it can peel off a few others. Charles Koch Admits Hillary Clinton Could Be the Best Candidate in NovemberThe Koch brothers could be two citizens united against supporting GOP presidential candidates this year. Charles Koch Agrees With Bernie Sanders, Still Isn’t Feeling the BernBut annoying GOP candidates is fun. Charles Koch ‘Spouts Off’ on the GOP RaceCharles Koch thinks Trump is intolerant — and compares himself to a baby whale. Koch Brothers to Let Jeb Bush ‘Audition’ for Their SupportMeritocracy remains alive and well. Belafonte’s Klan Comparison Got De Blasio in Hot Water With the Koch BrothersFollowing all this? Koch Brothers Spent Even More Than Previously Thought on ElectionThey had another shadowy group. Frank Rich on the National Circus: America’s Real Fiscal CrisisWho’s really hurting workers? The Koch brothers, for starters. Sheldon Adelson and the Super-Rich Drying Their Romney Tears With $100 BillsHow the right’s biggest donors are reacting. Third Most Evil Koch Brother Still Really EvilJust involved in some light unlawful imprisonment. Todd English Reality Show Is a Group AffairIt’s a mixed bag of nuts. Watch Richard Dreyfuss’s Bizarre Post-Oscars InterviewUh-oh, Richard Dreyfuss might be turning into Nick Nolte. Obama’s First Reelection Ad Pushes Back Against Koch BrothersObama seeks to clear the air about his energy record. Occupy D.C. Protests Koch Brothers Meeting, Three Hit By CarThree hit by a car amid conflicting reports. The Koch Brothers Made Part of Their Fortune Selling Petrochemicals to IranAccording to a blockbuster expose from ‘Bloomberg Markets’ magazine. The Koch Brothers Are Restarting Their Boozy BrunchesThe other ones. Koch Industries Acting Like It’s Never Given Money to the Democrats BeforeCue the phony outrage! Koch Brothers and Rich Friends to Plan Strategy for Saving AmericaBecause prosperity is under assault, the fifth-richest man in America says. Meatpacking Makeover: Revel and Paradou Upgrade; Abe, Bill ReadyPlus, is a burger battle brewing in the meatpacking district?